Check your knowledge about adding fractions by solving the 10 problems on this interesting adding fractions math test. This test has ten problems that challenge your understanding of math fundamentals needed in order to add fractions with like and unlike denominators. Understand a fraction a/b with a > 1 as a sum of fractions 1/b. a. Understand addition and subtraction of fractions as joining and separating parts referring to the same whole. 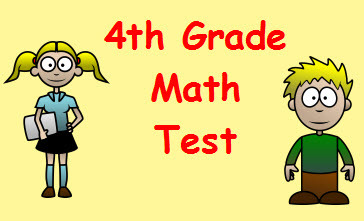 Return from this Adding Fractions Math Test to the Elementary Math Tests, 4th Grade Math Tests webpage, or to Math Tests.